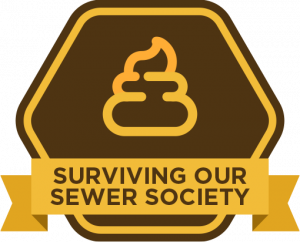 What is our sewer society? Well, it’s that much of what our society shovels us, stinks. Many people are dying every day from opioid, obesity, and other “diseases” of the mind. So many of us are dying of boredom in jobs we hate. Financially, so many of us live in lack, even many rich people dying every day with insecurity. How many of us feel we are living the time of our lives? We can set ourselves free of the Work, Financial, Time, and Mind Prisons. Where do we discover the keys? How do we navigate the sewer traps? Not just to get free, but to unlock our greatest purpose and destiny.